Former Derrick Company Sales Manager, Bob Cline, with long tank for stress relief - January 30th, 1962. Delivering Quality Service for five Generations. The Derrick Company is a family owned and operated metal Heat Treating, Abrasive Blasting and Industrial Painting business located in Cincinnati, Ohio. The current business is an outgrowth of The Frank J. Derrick Brick Mfg. Company, which was founded in the early 1920's. Derrick bricks became part of many building projects throughout the region including the tri-state's premier high-rise building project in downtown Cincinnati at the time, the Carew Tower. The company entered the heat treating field in 1943 when the U.S. government was in need of very long heat treating furnaces to process tank tread parts for the war effort. Harry Derrick Sr. and his crew devised a method to convert the company brick kilns into heat treating furnaces to successfully heat treat the tank treads. The heat treating procedure developed by Mr. Derrick became the standard adopted by heat treaters across the country producing this type of work for the government. For their accomplishment, The Derrick Company was duly honored in a public ceremony held in Cincinnati by the United States Government, at which the prestigious U.S. Army/Navy "E" award was presented to each member of the company. Derrick Company continues to proudly serve the US Military effort on several fronts today, continuously performing work on parts for our Navy destroyers over the past 25 years, while currently participating in the production of components for the many armored vehicles currently deployed around the world. Derrick Company is presently owned and operated by Kathie & Gary Schmid, and their son Jason Schmid. Kathie is the daughter of Katherine Derrick-Perry. 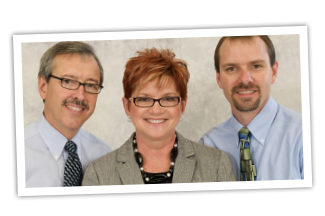 Kathie and Jason are fourth and fifth generations of Derrick family members to proudly own and operate the business.